Social engagement is an imperative for businesses - B2B social media strategies work and will boost your business and brand perception if implemented correctly. Every company needs a strong social media presence in order to compete effectively in today’s B2B environment. However, the process to establishing and maintaining that presence is a significant challenge, given the explosive growth of social media usage across so many different and constantly evolving platforms. 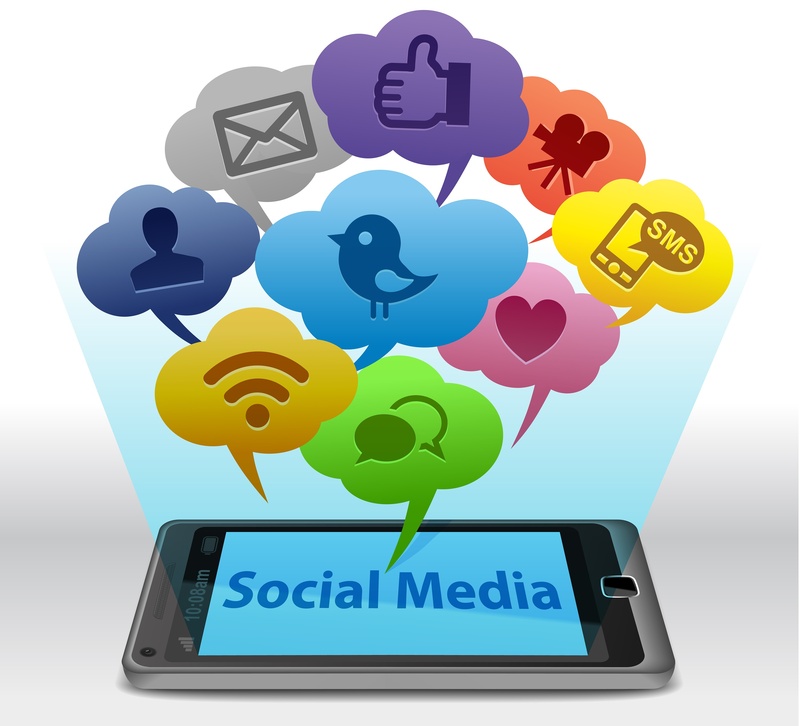 Social media marketing services have emerged as an essential element of any digital marketing company, including ours. Your company and brand must maintain a highly visible presence on the social sites that are most popular with your prospects and customers. Careful analysis of the “culture” of each social media platform is essential for identifying the most effective social sharing communities for your brand. There may in fact be dozens of platforms offering unique combinations of topics and demographics that align well with the customer base of your particular company. 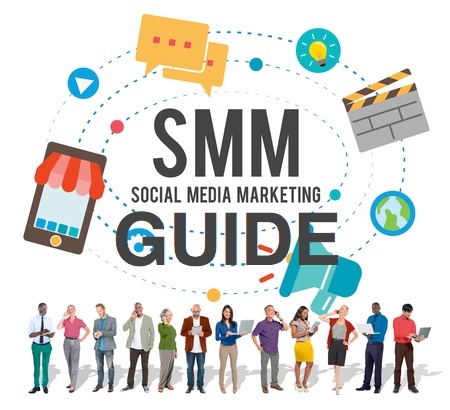 Examples of specific niche platforms include Instagram, Pinterest, StumbleUpon, Tumblr, VK (the largest European social network), YouTube, and many others. My firsthand experiences with social media have convinced me that all B2B companies benefit from participation in the four preeminent social media platforms of Twitter, Google+, LinkedIn, and Facebook. Enjoy the Infographic and following analysis. These are the key social media strategies that I’ve found to be successful in generating leads, engaging sales prospects, developing customer relationships, strengthening brand identity, and raising brand awareness for my business and my clients’ companies. Fact: Twitter has 313 million monthly active users sending a total of one billion tweets every month, according to usage statistics currently published on the Twitter website. For Twitter as well as the three other platforms discussed below, it is important to note that “monthly active users” are the subset of registered users who actually use the platform one or more times per month. This is a more meaningful statistic than “total registered users”, a significant number of whom rarely or never use the platform once registered. Search for Twitter users whose tweets include hashtags comprised of the keywords that best define your business. Their use of these hashtags implies that they are interested in topics related to your keywords. Become a follower of these users, with the hope that they will follow you in return. Identify the influential voices in the market sector you are trying to reach, and follow them. Search among their followers for other people with similar interests, and follow them as well. Make it your regular practice to follow anyone who follows you. Likewise, if you follow others and they do not reciprocate, you should unfollow them. Make sure your Twitter profile page is complete and visually appealing. Include your target hashtags in the description or “bio” of your company so people will find your profile when they search on those terms. Schedule multiple tweets per day with links to your premium content. Use your target hashtags as part of your tweets to attract the notice of the right audience. Pay attention to the timing of your tweets. Look for patterns that reveal when your tweets engage users most consistently, and increase your tweeting frequency at those times. Ask other people to retweet your tweets. Search your list of tweets to identify those that have been retweeted most often, and then repeat those tweets. Mark as favorites and retweet any interesting tweets sent by your target prospects. Direct website visitors, blog readers, and other contacts to your company’s Twitter page and invite them to follow you. Tweet messages that mention well-known people in your industry by using @username. If one of them responds publicly, then you will gain exposure to that person’s followers. Connect your Twitter and Facebook accounts so that your tweets appear on your Facebook wall automatically. Fact: Google+ has 540 million monthly active users, as reported by former Google Senior Vice President of Engineering Vic Gundotra in October 2013. Create a professional profile for your company and verify it with Google. Post your most valuable content on Google+, just like you would on any microblog. Include more text than you would typically share on other social sites, because text created on Google+ has a positive impact on Google search rank. Use the same hashtags that your target prospects are most likely to use; in most cases, these will be the same as your Twitter hashtags. Add people who are key influencers in your market to your Google+ circles. One way to accomplish this is by identifying your industry’s most vocal people on Twitter, LinkedIn, etc. and then searching for their Google+ pages. Individuals with influential voices tend to have accounts on multiple social media platforms. Join Google+ communities that are specific to your product and/or industry. Be an active participant in online discussions and share relevant content through these channels. Search on your key hashtags to find other people who have discussed similar topics, and follow them. Use the +1 button to highlight any of your target prospects’ posted content that relates to your own product or line of business; this is an excellent way to engage with prospects in an affirmative way. Pay attention to trending topics that are relevant to your business; leverage these discussions as opportunities to find other people with similar interests. 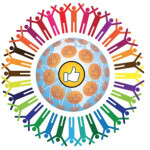 Try Google+ Ripples to find social influencers and their followers. This data visualization tool displays in graphic bubble format how Google+ posts have been shared over time. You can use this information to expand your own social circles by identifying others to follow. This is a pretty cool tool and I highly recommend giving it a try! For best results, however, use it only with posts that have been shared by many people. Fact: LinkedIn reported in April 2014 that it has 187 million monthly active users. Widely recognized as the largest online network of business professionals, LinkedIn has become a powerful social platform for B2B content sharing and lead generation. Establish a high quality company page with a comprehensive narrative describing your business and its offerings. Make sure this text contains the keywords that define your primary products and services most accurately. Encourage each of your employees to set up and maintain an individual LinkedIn profile. Offer guidance on how your employees should define their current positions and suggest specific keywords to increase their LinkedIn visibility. Most importantly, make sure your employees link their profiles to your company page to establish official public connections between themselves and your company. Find and join LinkedIn groups that focus on the problems addressed by your company’s product and service solutions. Look for groups that are likely to attract the attention of your best business prospects. Post frequent status updates on your company page to share announcements, blog posts, and other content with your followers as well as with members of the various LinkedIn groups to which you belong. According to LinkedIn’s article “Company Pages Status Update Best Practices”, companies that post an average of 20 updates per month succeed in reaching 60% of their followers with 1 or more updates. Utilize LinkedIn’s flexible sharing options to reach a wide audience that extends beyond your own network to include all LinkedIn members. You can even opt to share specific LinkedIn updates with your Twitter followers! To reach members of the collective networks of all your employees, urge every employee to share content from your company page on a regular basis. From an organic perspective, the acquisition of new contacts often originates from direct person-to-person sharing of content through LinkedIn. Post content that is consistently on-topic and relevant to those who follow your company. Engage your followers by asking questions to generate comments and group discussion. Respond to all comments, regardless of whether they are positive or negative, to show that your company pays attention and cares about its customers’ opinions. Include images and videos to enrich your LinkedIn content. Fact: Facebook has 1.35 billion monthly active users, according to its quarterly financial results for the 3rd quarter of 2014. With a volume of active users far in excess of all other social media platforms, Facebook offers immense exposure opportunities for both B2C and B2B companies. Create a high quality and engaging Facebook business page that accurately describes your company and provides relevant information to customers and prospects alike. Use hashtags when you share content through Facebook to help users find information of interest to them. If you host an event, post photos of attendees tagged by name so their followers will see their pictures and gain awareness of your company. Use images and videos to make your Facebook posts more visually appealing and more interesting to a wider audience. When sharing content on Facebook, post the actual content instead of just clickable links to it. This will appeal to the many users who prefer to read content directly on Facebook without leaving the site. It is a great idea to share a combination of your own original content along with interesting and relevant content created by others, properly attributed of course. Post attractive offers on your company’s Facebook page to provide incentives for users to act and engage with your company. Such offers might include invitations to participate in upcoming events, opportunities to attend webinars on specific topics, discounts for first-time or repeat purchasers, options for requesting additional information, etc. Display social sharing buttons prominently with all of your company’s website content, making it easy for website visitors to share your content with others. Provide links to your company’s social accounts as part of your professional email signature, giving email recipients direct access to those channels. Include links to your own individual social accounts as part of your professional email signature only if you use the accounts solely for business purposes. This is usually the case with LinkedIn. However, you should not offer links to any personal accounts that contain content unrelated to business. I firmly believe that every company needs a well-developed and focused strategy for leveraging the power of social media in order to maintain a strong competitive edge in today’s B2B environment. By following the strategies outlined above, I am generating very positive results for my own company and for my clients’ companies through a consistent and focused use of social media. I would like to acknowledge, however, that significant opportunities for increasing your company’s visibility and impact through social media also exist in the form of paid advertising. I intend to address this important subject as a separate topic in a future blog post. In the meantime, if you would like to learn more about creating and implementing a social media strategy for successful online engagement with your target market, please contact me directly or download our whitepaper “How Bristol Strategy Can Revitalize Your Marketing Plan”.